Ferg Family Adventures: ALL of the Easter Things! This was the weekend where we did every Easter activity possible. Go on an Easter egg hunt (or 3)? Check. See the Easter bunny? Check. First up was the egg hunt at Queen's University on Saturday morning! Last year, we basically had to pick up the eggs for Lucas, since he wasn't walking yet and had no clue what was going on. This year, he was so into it and was all about getting those eggs! Ella was on a different lawn with Trav, but she got just as many eggs! The Easter Bunny was there too! And Lucas wasn't terrified of it! Woohoo! Saturday afternoon, we dyed Easter eggs! 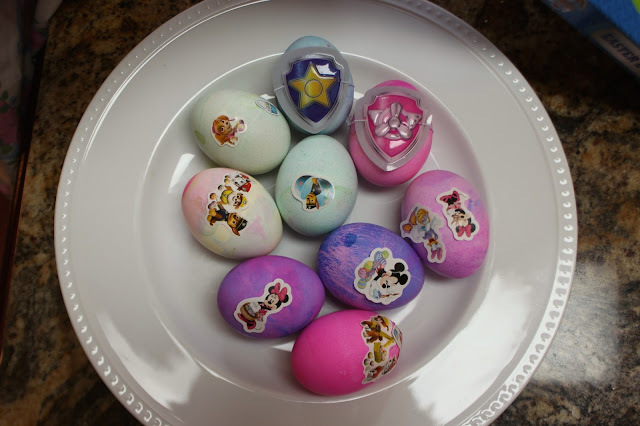 Lucas sat in his high chair, eating the cracked eggs, while Ella so diligently dyed the rest! Sunday morning, it was time for another Easter egg hunt, this time at church! 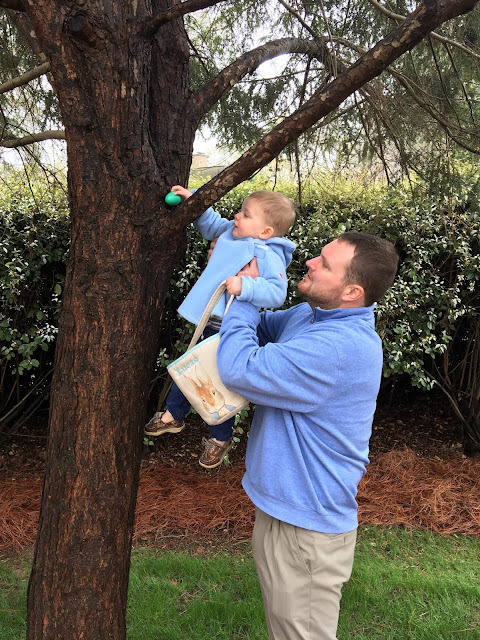 Lucas's favorite part was getting the eggs out of the trees! And, just when you thought we were done with Easter egg hunts....oh no, friends! That afternoon we had our neighborhood Easter egg hunt! Because they had different start times for different ages, we all got to watch Lucas, and then Ella get their eggs. Last year, Lucas took too long and we actually missed the start of Ella's age group's hunt. Luckily that did not happen this year! 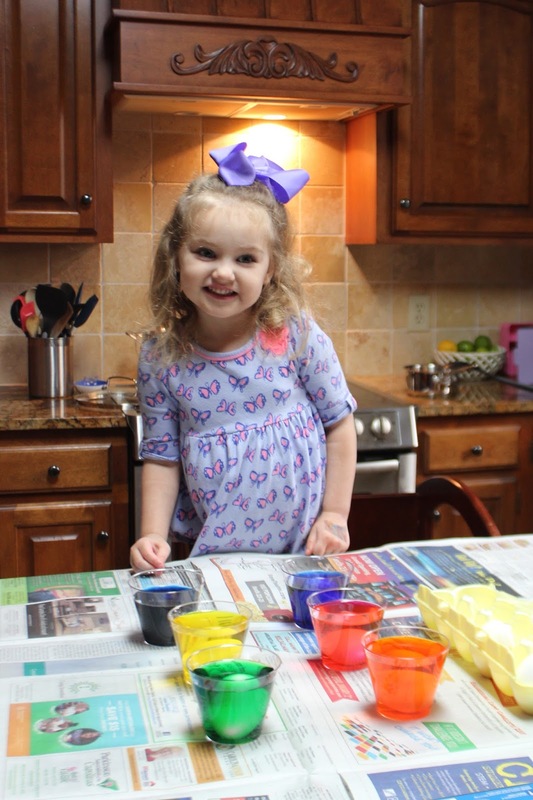 Ella really wanted to decorate her dyed eggs, so after our neighborhood egg hunt, that is what she did! And by "decorate," I mean she put Paw Patrol (for her) and Mickey Mouse (for Lucas) stickers on them. Was that enough Easter fun crammed into one weekend? !